Cristiano Ronaldo is doing all he can to get back fit as quickly as possible, and theJuventus star posed for a picture following a swimming session. Ronaldo showed off his muscles and was wearing just his boxers in the photo, which he shared with his 160 million Instagram followers. The 34-year-old suffered a thigh injury while on international duty with Portugal and missed Juventus’ 1-0 victory at home to Empoli in Serie A on Saturday. 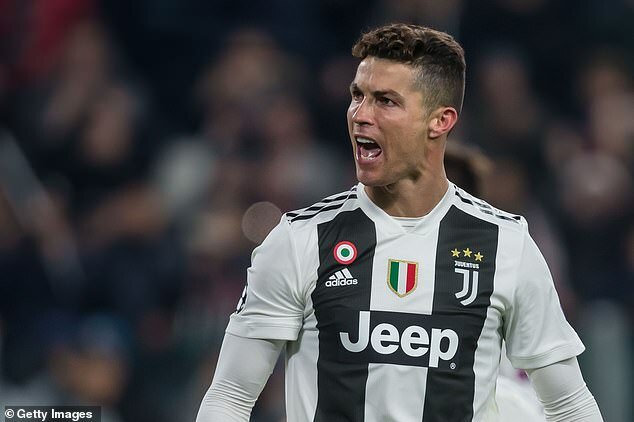 Juventus face Cagliari away on Tuesday before hosting AC Milan on Saturday but it seems unlikely that Ronaldo will feature in either of those fixtures. Ronaldo is eager to be fit for the first leg of Juventus’ Champions League quarter-final away to Ajax on April 10, but will not be risked if he isn’t fully fit. On Saturday Ronaldo posted a video of himself working out in a swimming pool with weights strapped to his ankle. Ronaldo has made a major impact for Juventus this season – he has scored 24 goals and provided 12 assists in 36 appearances across all competitions. Juventus are 18 points clear at the top of Serie A and are closing in on retaining the title.